Eating a salad every day is one of the healthiest habits you can have. It is a delicious and convenient way to eat veggies and fruits. …Are you aware that certain vegetables and fruits can promote hair growth and thicken your hair? 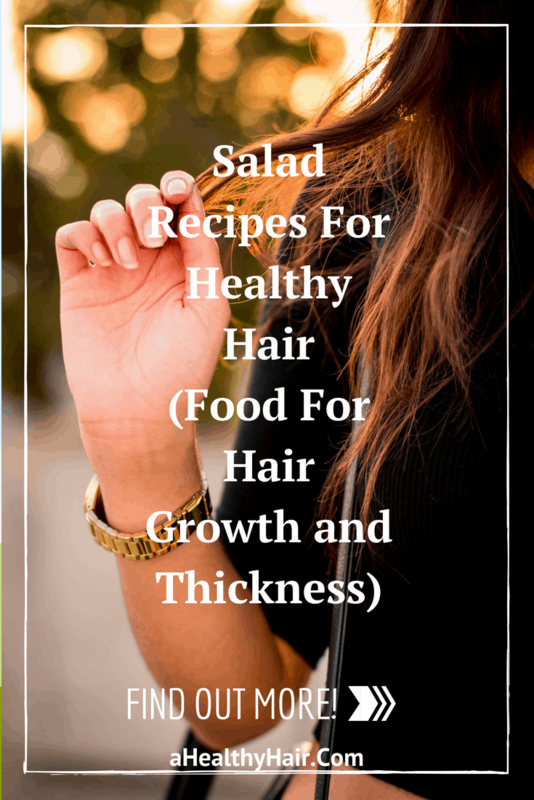 Now, in case you don’t know, food for hair growth and thickness has been around for years now, but you can now nurture your hair while indulging in a delicious salad recipe for healthy hair. That’s not all, there are so some vegetarian food for healthy hair – and if you’re looking for them, you are in the right place. We have curated a list of Salad Recipes for Healthy Hair as well as some food for hair growth and thickness that you can easily follow to curb your hair roots and skin problems. Although you don’t have those problems, salads can help you maintain and improve your health. They also give you a refreshing feeling after the meal for a good chunk of the day that will help you stay active. Your body can efficiently process salads, and if planned right, these delicious low-calorie foods can reduce your body weight and help fight against thin and brittle hair. If you eat vegetarian salads regularly, it can help also lower cholesterol, overall body fat and curb hair fall and skin problems. Vegetables are packed with essential nutrients that can improve the overall health of our bodies, but when certain vegetables are cherry-picked based on our needs and made into a recipe, which works as a perfect medicine to treat specific health conditions. Interestingly, our health experts have curated some of the best salad recipes that will help your body against hair fall and hair damage and restore thick and healthy hair that you’ve always wanted. Many salad recipes at restaurants and other places contain meat and other fatty ingredients that defeats the whole purpose of a salad, and they are often expensive and not healthy. These are not the kind of salads that are going to help with hair growth. 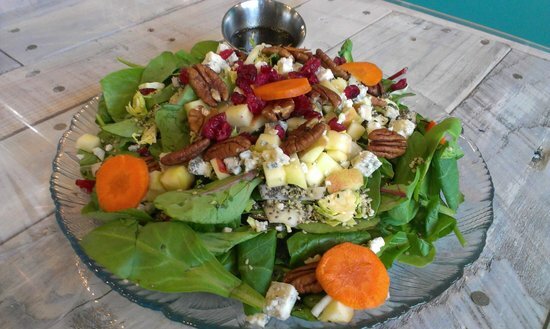 Salads are refreshing and nourishing for your body and will naturally fix your body from the inside out. However, always make sure you make the dressing as light as possible when you make a custom salad based on our recipes, because heavy dressing can counteract the natural health benefits of the salads. Now, below are some of the salad recipes that work great for hair loss. 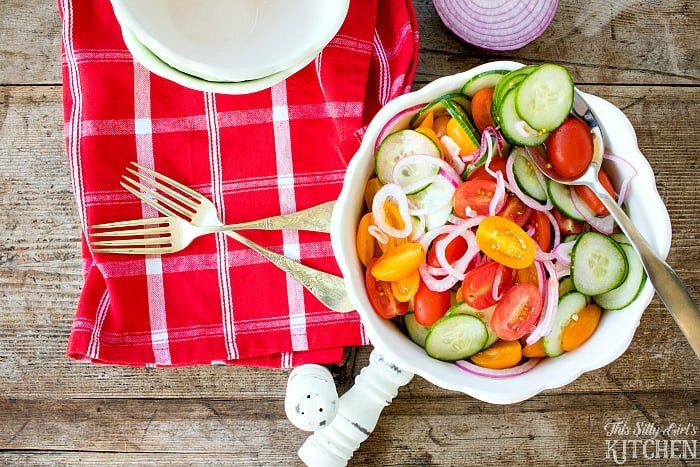 The combination of tomato, cucumber, and red onion slices gives a fancy look and a unique taste that will make you fall in love with salads. Interestingly, tomatoes are naturally loaded with hair-nurturing nutrients such as copper, carotenoids and B complex and red onions have a lot of sulfur which is particularly essential for hair growth in hair and nails. Many experts refer sulfur as “beauty mineral” because of its natural ability to help us tackle problems such as brittle hair and even dry skin. Furthermore, cucumber is also high in nutrients, while having very fewer calories. It contains anti-oxidants and helps your body retain water, which makes tomato and cucumber a powerful combination. You can prepare the dressing by whisking all the ingredients above until it’s evenly distributed and smooth. Mix well. And finally, top this with the fresh basil leaves and enjoy your delicious salad! Maintaining a healthy, balanced diet is essential. And eating a delightful Salmon Salad is a good start if you already haven’t. 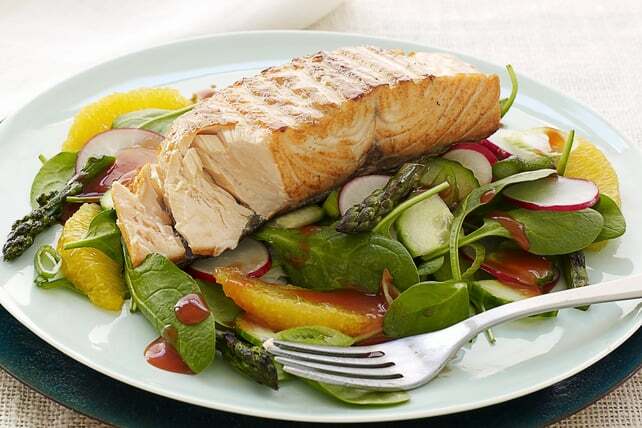 This salad contains significant amounts of astaxanthin, which is a compound responsible for the pink color of salmon, which is a powerful antioxidant. And tomatoes, as mentioned earlier, are loaded with hair nurturing nutrients that are essential for both skin and hair. This salad is made with ingredients such as cherry tomatoes and white salmon, both of which are incredibly nutritious. Salmon is rich in omega-3 fatty acids, vitamin B, potassium, and selenium, all of which are essential for the metabolism of our bodies. If you’re going to make a custom dressing, make sure your salad dressings don’t have too much fat or oil and entirely avoid saturated fats. Our body needs fats, but only the good ones, in moderation. You can also add lemon juice and more vegetables if you like. Mix all the vegetables in a large bowl and top with some olive oil, salt, and pepper for a minute, and you’re good to go! 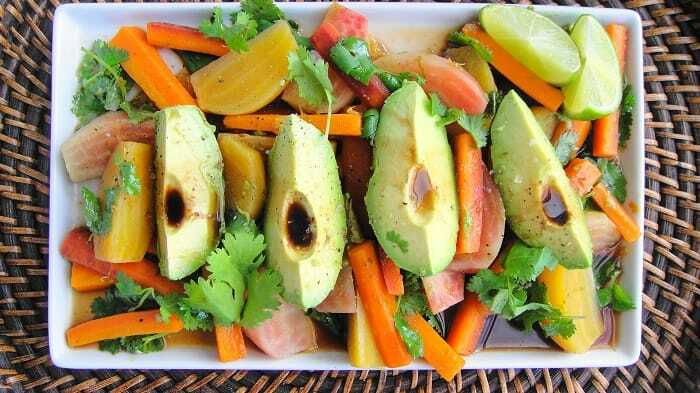 Carrot and Avocado Salad can be made in 10 minutes and is high in protein and low in carbs, precisely what you want when you need a balanced diet. Avocado is one of the healthiest and tastiest veggies there is, it might also interest you to know that Avacado oil is highly potent for the treatment of hair loss. 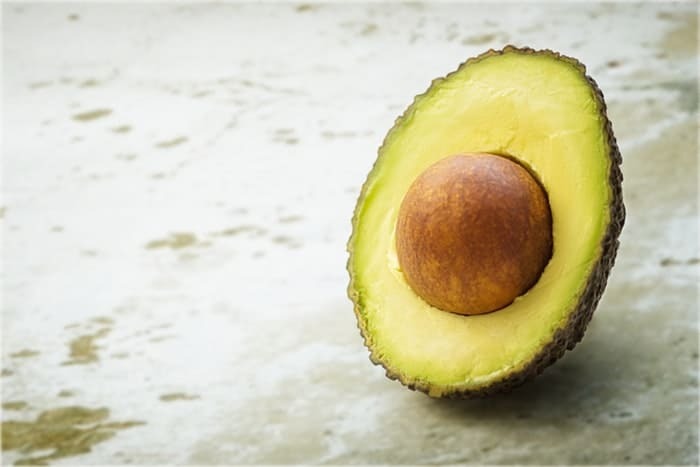 Apart from that, Avocados are also scientifically-proven to help improve the body’s ability to absorb beta-carotene, a basic compound required for hair growth. Take a large bowl and mix avocado, grated carrots for a few minutes. Once that is done, sprinkle sunflower seeds on them for taste and garnish. Now, add a suitable amount of salt, pepper, and balsamic vinegar. We recommend you to cover and refrigerate for a good 20 minutes before serving for the best experience. 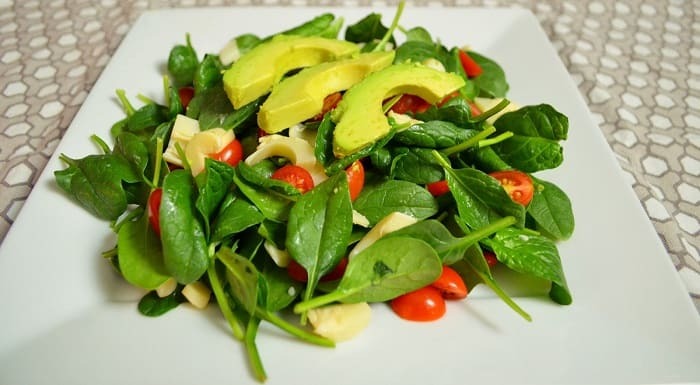 Arugula, Avocado, and Tomato Salad is the perfect food for a satisfying, indulging and refreshing experience. This recipe is rich in avocado which promotes hair growth and increases the body’s natural ability to absorb the carotenoids. So, it’s a quality snack. It also improves your immune system and is suitable for your skin. Take a large bowl with a lid. Combine arugula, cherry tomatoes, sun-dried tomatoes for a good two minutes. Now, add olive oil and vinegar and mix again. Divide this mixture onto plates and top the servings with sliced avocados for the best experience. You may also directly add avocados to the mixture if you like it that way. This stunningly looking salad contains organic carrots, fennel bulb and thinly sliced cucumbers for a satisfying crunch on a hot summer day. It’s recommended to use fresh garden veggies for the best experience. The dressing on this salad is relatively light for health reasons, but you can add more ingredients if you want. 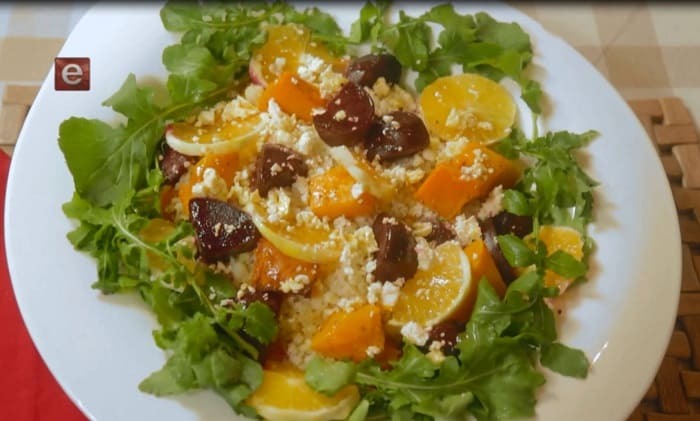 This salad refreshes you from the inside and strengthens your hair from its roots. It is packed with the ACE vitamins (pro-vitamin A, vitamin C, and vitamin E) which are essential for healthy hair growth cycles and to fight against environmental hair damage. First, take a large bowl and add carrots, fennel, cucumber, and parsley into it. Mix well. Now, add lemon juice, olive oil in a separate container with a tight lid and shake well. Now, pour the dressing onto the salad and enjoy the delicious salad! If you’re a beet lover, you will entirely fall in love with this recipe. This delicious combination of beets and carrots is highly nutritious and low on calories. Carrots have high levels of beta-carotene, which are essential for your hair and skin. It helps with improving your hair growth cycle and can fight against hair loss due to age or environmental damage. Although the long list of ingredients makes the recipe looks like it has a lot of calories, in reality, it doesn’t. This veggie-packed hair-nurturing salad only has about 189 calories with 14g of natural fats. Natural fats don’t have adverse effects on our bodies unlike unnatural fats (hydrogenated / trans-fats). Carrots are packed with nutrients that are essential for the hair, while beets can help stabilize blood pressure and improve blood circulation, which is vital for again, hair growth. So, that makes it a perfect combo! First, mix the grated beets and carrots in a suitable bowl. Take another bowl and add apple juice, olive oil, ginger, and salt in it, and mix well. Now, drizzle it over the grated beets and carrots in the other bowl and enjoy the delicious and indulging experience. Healthy hair roots are critical for a healthy hair and to fight against inflammation and environmental damage. Millions of people suffer from hair problems due to weak hair roots which will eventually result in hair loss. 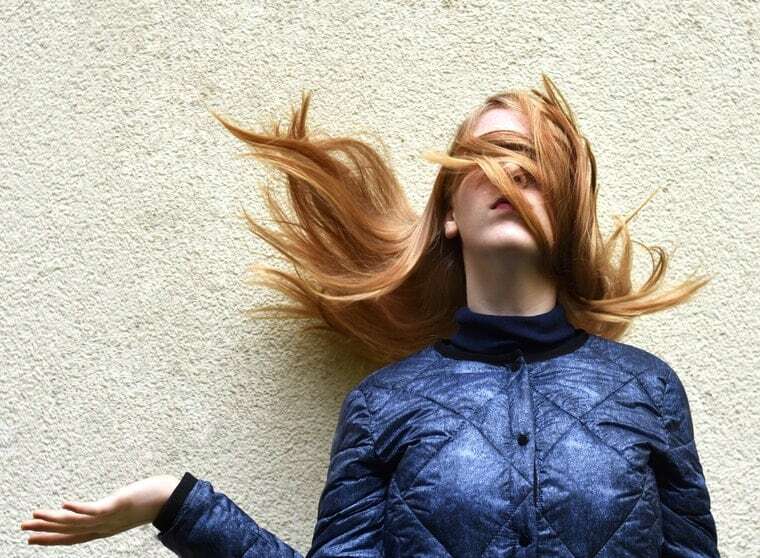 For example, iron deficiency is one of the leading cause of hair loss in women. On top of that, environmental factors such as weather and pollution can have a profound impact on our bodies. Amino acids are mainly the types of proteins that are responsible for thick hair growth. 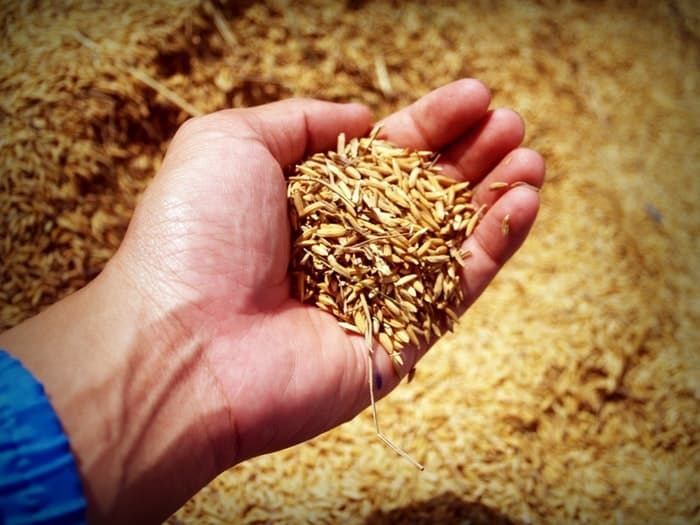 Interestingly, having whole grains is one of the ideal ways of augmenting the supply of amino acids in the body. This is because these grains are rich in Biotin – and plays a significant role in cell proliferation thereby leading to the production of sufficient quantities of amino acids. Your hair needs adequate circulation of blood to ensure that your hair follicles work efficiently. Essentially, Vitamin E is the crucial requirement required for the improvement of blood circulation. Additionally, balancing the pH levels is vital because a high pH level can result in clogging of the hair follicles. Now, it might interest you to know that Avocados are one of the most potent sources of Vitamin E. You can have it as a smoothie or add it to your salad. Another benefit of having avocado in your diet is because of its rich in monounsaturated fats. Breaking hair is one of the primary causes of hair loss, and a good supply of Vitamin C can prevent this breakage to no small extent. Vitamin C can be gotten from several sources such as Citrus fruits contain and Yellow pepper, but yellow peppers are a much dominant source of this vital vitamin. Vitamin C typically makes the hair follicles and shaft stronger. Yellow pepper contains 5X as much Vitamin C you’ll ever find in citrus fruits. 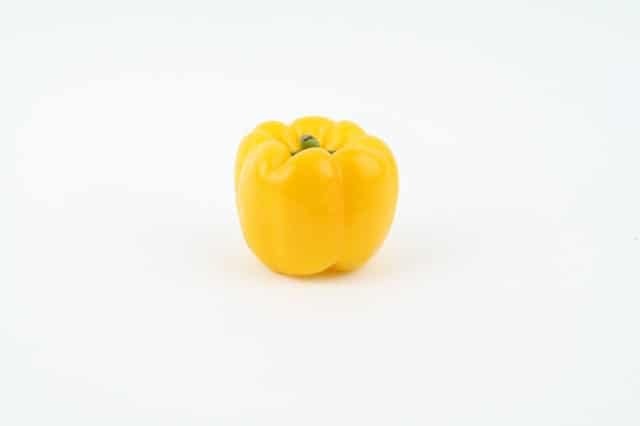 Therefore, having yellow peppers in your regular diet helps to boost the amount of vitamin C in your system without having any effect on the blood glucose levels. This is one of the best anti-oxidants for the strengthening of the hair shaft and follicles. Your body needs a good supply of Vitamin C to absorb iron from the various foods you consume. 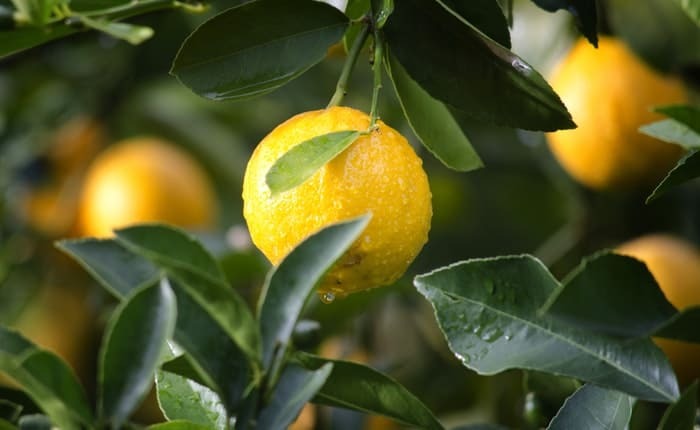 Good enough, Citrus fruits such as oranges, lemon, and sweet lime are fantastic sources of this Vitamin C. Vitamin C is critical for the production of collagen (the protein that’s responsible for the strengthening of hair shafts). Furthermore, collagen is also useful because it helps to strengthen the capillaries connecting to the hair shafts. The consumption of one glass of lemon juice per day is even enough to ensure an ample supply of Vitamin C. However; it would be much better for you to take this lemon juice with honey instead of salt or sugar. No hair growth solution will ever be complete without mentioning the enormous contribution of vitamin A. 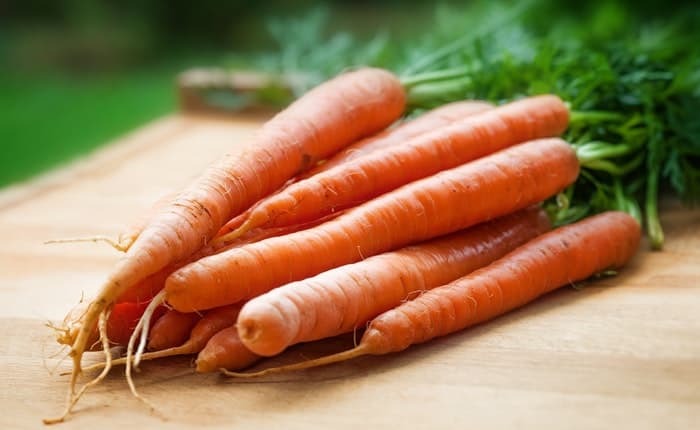 In fact, Vitamin A is needed for the healthy growth of each cell in the human body, and Carrots are a perfect source of vitamin A.
It’s advisable that you have at least, one carrot juice daily. This is because it helps in the production of sebum oil, which is responsible for strengthening the hair roots. That’s not all, eating whole carrots can equally be super helpful for maintaining an active and healthy hair. The ancient Indian medicine recommends various vegetables and plants for a healthy hair. Although we now have allopathic medication to treat hair problems, those medicines often come with many unwanted side effects. But, vegetables, on the other hand, are right for your overall health and can also improve your situation. A balanced vegetarian diet is one of the healthiest ways to eat because our body loses its natural ability to process complex food overtime, even more so in an individual with weak metabolism. Consuming complex food puts pressure on our digestive system. If you’re suffering from a fragile and brittle hair, you should consider going vegan, because adequately planned vegetarian diet will surely help your condition and fix your health problems eventually. Curing naturally is one of the best methods you can treat yourself, as it doesn’t have any side effects and will also improve your system. All of the above recipes have been written with an average individual in mind; if you don’t like a specific ingredient or you’re allergic to it, you can skip it. Overall, having a balanced diet is very important and your eating habits today will have ripple effects for years into the future. Include a salad in your diet every day, and you will start to notice your health improving before too long. Of cause, all the salad recipes for healthy hair mentioned here indeed works, so you have to give them a shot and see for yourself. Apart from that, you must also include the foods above for hair growth and thickness in your diet if you are facing hair problems, along with medicines, if you have a hair condition. Although food isn’t alone isn’t a replacement for medicine, it can improve your situation significantly. It is good to have healthy hair as it not only boosts your physical appearance but equally enhances your self-confidence. By simply making little changes to your diet, you can have strong and healthy hair. However, you want to include a few healthy foods while also excluding the unhealthy ones. Excitingly, all the foods mentioned above contain the essential mineral content needed to ensure healthy growth of your hair. The best part is that these foods are readily available and are natural sources of minerals and vitamins. As a result, you won’t end up with unnecessary side effects.